Be the first to share your favorite memory, photo or story of Lou. This memorial page is dedicated for family, friends and future generations to celebrate the life of their loved one. Lou Alice Finley, 79, of Cloverport passed away Sunday, September 9, 2018 at Breckinridge Memorial Hospital. She was born January 11, 1939 in Holt, KY to the late Herbert and Carrie Gines Sturgeon. During her life, she was a Jack of All Trades and worked at many different positions. She retired as a cook on a riverboat, but also worked as a cook in several local restaurants, worked as a clerk at numerous businesses. She was a member of the Cloverport Baptist Church, served on the Fire Department and Rescue Squad. She LOVED playing Bingo, was an avid reader and loved doing crafty things. She also loved working outdoors and indoors and raising her four children on her own and making sure they got up to go to school every day. One of her greatest enjoyment was listening to country music by many of the greats, such as Conway Twitty, Loretta Lynn, George Jones and many others. Besides her parents, she was preceded in death by her brothers, David Richard and Kenneth Mac Sturgeon and sisters, Mary Margaret and Carolyn Sue Sturgeon. Leaving behind to mourn her passing, but celebrating the loving life that she lived are her sons, Garfield Finley, Jr., of Cloverport, Steven Wayne Finley, Cloverport, Kenneth Ray Finley of Lewisport; daughter, Nita (Bruce) Riley, Hardinsburg; brothers, Harold Sturgeon, Cloverport, Herbert Sturgeon, Jr., Owensboro, Wayne Sturgeon, Cloverport; grandchildren, Carrie May, Rickey Harper, Jr., Colton Riley, Joshua Finley, Kyna Finley, Summer Finley and great grandson, Gavin May. A celebration of life for Lou Alice will be held 1:00 pm, Wednesday, September 12, 2018 at Cloverport Funeral Chapel with Pastor Tim Mattingly officiating. Burial will follow at Cloverport Cemetery. The family will receive friends and family from 4:00 pm until 8:00 pm Tuesday, at Cloverport Funeral Home and from 9:00 am until service time Wednesday. In lieu of flowers, donations may be made to the American Diabetes Foundation in Lou Alice’s memory. 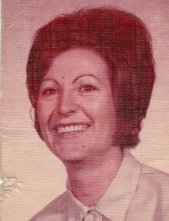 You may share your thoughts and memories of Lou Alice with the family on our website: www.cloverportfh.com. To plant a tree in memory of Lou Alice Finley, please visit our Tribute Store. "Email Address" would like to share the life celebration of Lou Alice Finley. Click on the "link" to go to share a favorite memory or leave a condolence message for the family.